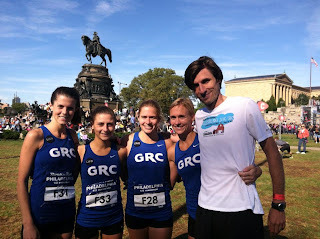 GEORGETOWN RUNNING CLUB: Breaking News: Beth Blasts PR in Philly! Beth Young finished the RNR Philadelphia Half Marathon in 1:18:36, which is a three-minute PR! 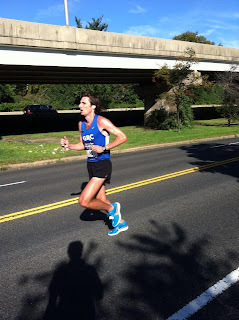 This comes five months after a 20-minute PR at the marathon distance. Dix finished in 1:12:19, Chatty Cathy Campbell finished in 1:22:53 in her 13.1 debut, and Kerry Allen in 1:24:15. 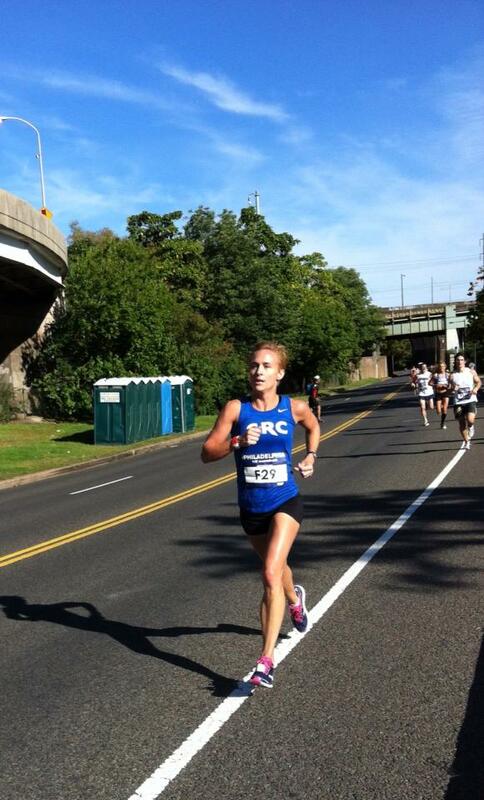 Julie Tarallo finished in 1:22:02.